One of the most visited areas of Wilfair HQ is the My Reader Crushes page. Love love love this. So much so I just wrote "love" three times in a row. As for the My Reader Crushes page? I'm not sure why the visits are especially high, but it does put me in a slightly worried frame of mine, even while I love the robust visit rate. Are people not on there that would like to be? Have I missed you? Please let me correct that. You can drop me a quick little whisper at wilfairbook@gmail.com. Or, for that matter, if you'd like me to tweak your entry, I'm on it. You have a say here at Wilfair HQ. 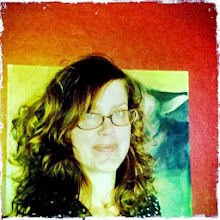 Why am I using this photograph for a post about the reader page? Because when I think of Wilfair readers I don't think of them just holding a tablet, reading my book. Wilfair readers are far zanier than that, I suspect, and if I invited you to come see the flying fish of Catalina Island with me, I just know you'd probably accept. Not sure I'd hold a fishy, like these 1940s ladies, but I can't help but think those stylish bathing suits are 1000% diving-board appropriate. 1- I LOVE their suits! 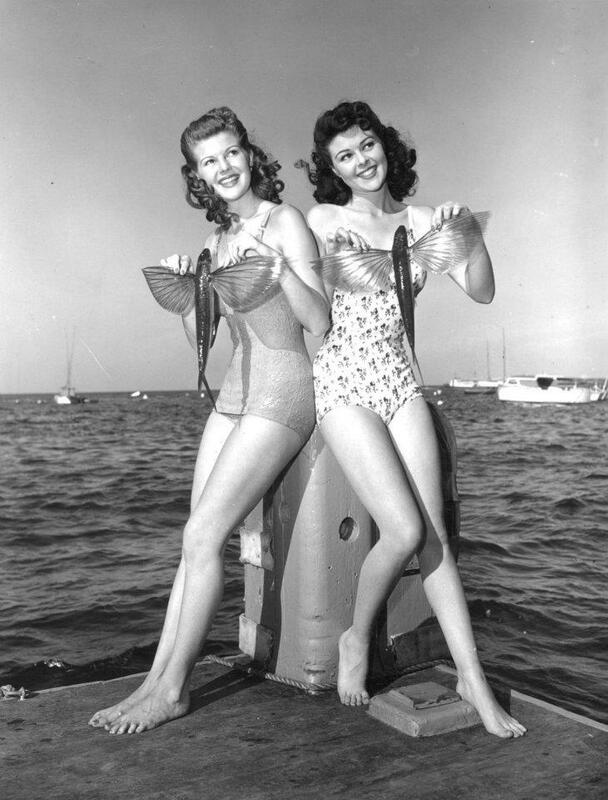 2- I am SUPER creeped out by those ladies holding those dead fish up kind of like Ariel seashells. 3- We did the Caribbean cruise thing for our honeymoon long ago, and my husband saw like 10853 flying fish. I saw 0. Not even "like 0," just 0. In conclusion, I would TOTES go with you to see the flying fish of Catalina! :) Oh, and also: #1 + #2 = What an awesome photo! kitzie! How are you? How's Karen? Tell her I say hello. She is FUN. All caps. Okay, so I totally thought that maybe the ladies just took the fish out of the water for a moment, posed, and then returned the fish to the water, where they could swim on. That's the story in my heart. How was your cruise? Beyond missing all 10853 flying fish? I'd like to go on a cruise -- never been -- but I think to Alaska, so I can check out some whale action. Hey yourself. I have an excellent opportunity to tell Karen of your salutations as she is driving up to see me tomorrow. Your timing is impeccable. Or...perhaps we have telepathy??? Your fish story is better than mine. My cruise was very scripted...and had many unruly children. The scripted I think was good because we got to drop into so many different places and the work was done for us. We were just 22, so we might not have been really grown up enough to get all that done on our own. And we really liked the staff...but they might be being exploited since none of them were American. Everyone I know who's done Alaska has loved it, so I think you would too! Maybe we do have telepathy! I wouldn't doubt it. Hope you and Karen had a ball. There's a new show on at LACMA you should consider coming down for: James Turrell. He works with light and space. Good stuff.